BABES, I have a PSA*! 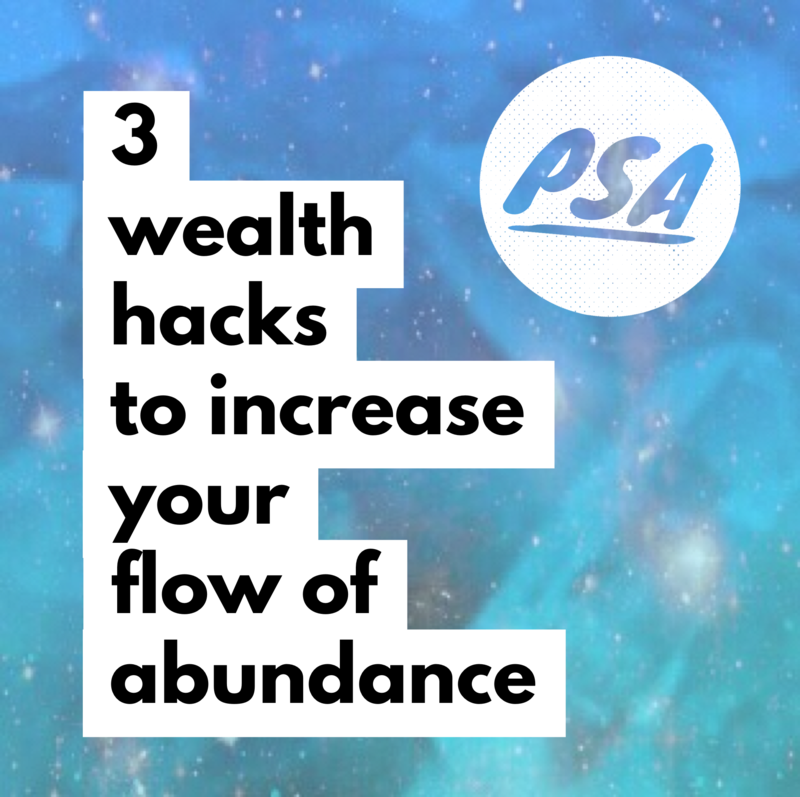 It's time to up your flow of abundance, and you can do that now with these 3 wealth hacks! When I first was awakened to the world of having a relationship with money, I thought it was totally bizarre. At this stage my relationship was a bit bipolar – one moment I wanted it, one moment I said I didn’t need it to be happy. I didn’t realize that just like any relationship, our connection with money needs to be nurtured if we want to experience true abundance. 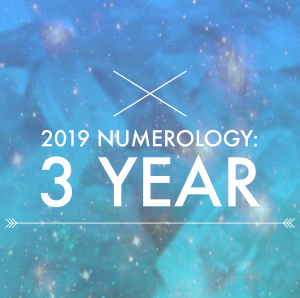 Now, I know peeps, to some of you this mind sound a bit odd… but TRUST ME, it makes the world of a difference to your bank account and happiness when you feel abundant in all areas. So here it is, 3 ways you can increase your feelings of abundance right now! 1. Be grateful – for it all! Yes, even that penny you find in the gutter, you HAVE to show gratitude in anyway wealth is flowing into your life. Here is the deal. If you ask for “more money,” isn’t finding one cent, or 10 cents, or 50 cents technically fulfilling that wish? The funny thing is almost any goal we wish to manifest does so, we just fail to recognize it. And when we fail to recognize the fulfillment of our goals, the next time around it may take longer to receive. And possibly the only reason you didn’t recognize it, is because you weren’t specific about what you wanted. You see “more money” and “$2000 to purchase this or pay of that” are two very different goals. 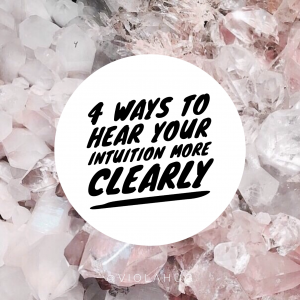 Creating clarity around what you want to manifest is a little bonus tip for you here. The point is, if you want to keep receiving the abundance the Universe is offering you – show gratitude for where you are being given money already. Whenever you have an increase in abundance, no matter how big or small – show immense appreciation. This grateful vibe will put you into the fast track of manifestation. Money likes being taken care of, that’s just a fact of the universe. Now, if you were money – would you want to be crumpled up at the bottom of someones dirty jean pocket, or nicely placed in a beautiful wallet. Yes, money likes a lush lifestyle. Treat your notes (or “bills” for my American and Canadian friends haha) with care and don’t crinkle or fold them. Invest in a wallet that can neatly carry your money, placing them all facing the same way and in monetary order. 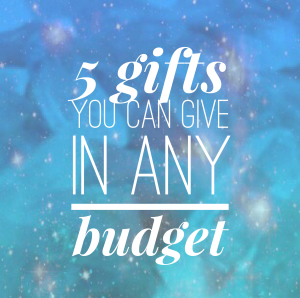 Also, with your cards, have them neat and organized in your wallet as well. Keep it clean and free of old receipts and unnecessary crap. When you create a beautiful environment for your money, more of it will surely flow to you. STOP saying things are too expensive or that you can’t afford it. I know that this can be a tough one, but trust me on this. Those sorts of thoughts and statements aren’t doing your abundance vibe any favors! Firstly, “expensive” for who? Expensive is totally subjective, and the price of an item is usually link to it’s perceived value. When you use this term it puts you in a “me versus people with money” space, which isn’t healthy for your mindset. Instead, recognize the item for it’s value, and move on if it’s not something you’re ready to invest in. BAM! Your money vibe be flying high! I personally found these tips to be super helpful in shifting my relationship with money. And now, I would love to hear from you. Did you find this helpful? Leave a comment below to let me know which step you plan on applying first. If you found this valuable, please share it with a friend!